The City of Parkville, Mo. 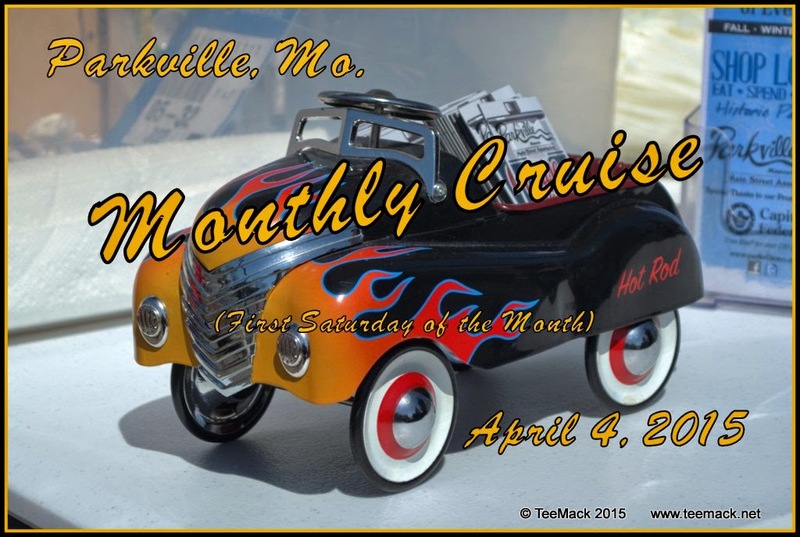 held it's first monthly car cruise night of the season on April 4, 2015. The Monthly event is held on the first Saturday of every month except on July 4, 2015. The first cruise is always is special and approximately 400 vehicles showed up for the cruise. The cruise is held in the Market place adjacent to downtown historical Parkville. The cruisers had plenty of opportunity to visit some of the great shops and eateries in Parkville. With temperatures in the low 60's and plenty of sunshine, everyone at the cruise really enjoyed getting out for the first major cruise of the year. Click here to view photos of the event.